ePromos Beanies Are The Best! We wanted to get our name out there on something other than the usual baseball cap. Great! 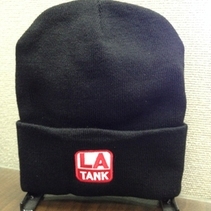 ePromos sent us a sample of the beanie so we would know exactly what we were getting before we ordered it. They also sent us pictures of the logo product so adjustments could be made prior to the entire lot being made. Nikki Villarreal was awesome! She got samples out to us quickly and followed up with me. ePromos is the only company I will use in the future for our promotional items. Thanks ePromos! I am always looking for eye-catching, memorable, and practical giveaways for our cosmetic plastic surgery patients so they feel pampered following their surgery. We love the eos lip balms since they fit in perfectly with our patient population and with our services. Response from our patients has been overwhelmingly positive, and in fact, they usually ask for extra ones for their kids (which we are happy to give)! And we liked the lip balms so much, we just added the eos hand lotion to our repertoire. ePromos was very responsive in helping us move forward with our order so that we could complete this project efficiently. 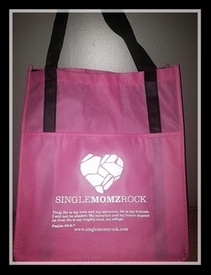 We were looking for a well-designed goodie bag to distribute at our 3rd Annual Valentine's Banquet. Casey Knowles has been incredible to work with. Very available, knowledgeable, and professional. Thank you Casey! Awesome! I highly recommend ePromos. We wanted to add value to a promotional poster we were distributing to physicians. 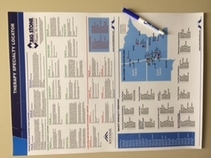 A dry erase pen was the perfect product to pair with our posters, giving double value to gift recipients. The pen caps have a clip that secures them to the posters. The imprint was crisp and service was fast. We needed the pens on short notice and ePromos met our deadline. by Stephanie | Maxine Monroe Design Co.
We were looking for a great promotional item to hand out at our annual golf classic. 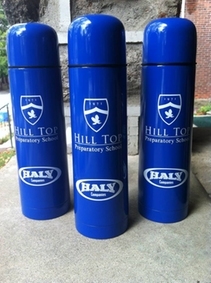 The thermoses with our logo were a huge hit. Nice to work with our sales rep. She made sure everything went smoothly and we received our order on time. - Stephanie, Maxine Monroe Design Co. Stainless Steel Vacuum Promotional Bottle - 16.9 oz.